Eating on the Wild Side is definitely my kinda’ book. It’s a mix of science and history, gardening, cooking and nutrition all wrapped in one truly awesome package. 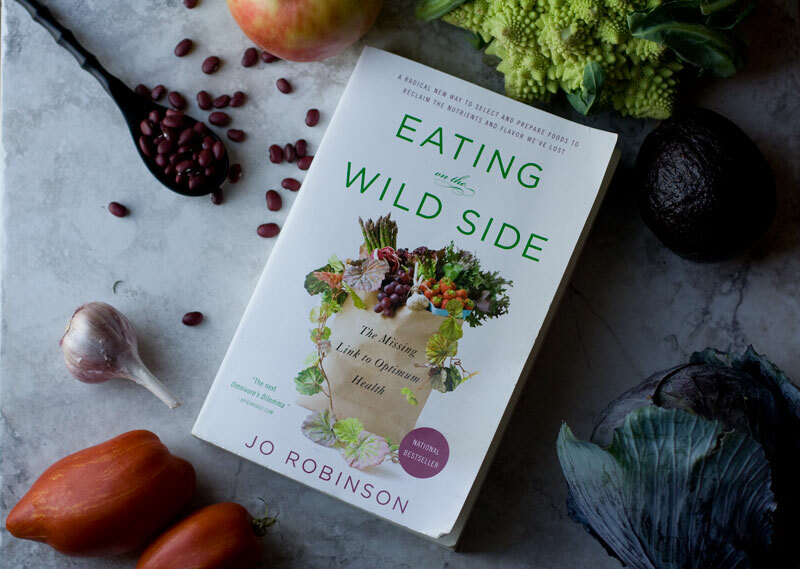 I love how Jo Robinson describes not just what varieties to eat, but how to prepare them to optimize the nutrition of your meal. This book is a game-changer and well worth a space in your library. Being the food nerd that I am, I’ve already read it twice—it’s that good. Robinson begins by describing the fate of our modern plant foods’ wild ancestors, many of which look and taste nothing like their modern-day descendants. When humans started cultivating varieties that tasted sweeter and were easier to grow, we unwittingly removed a vast amount of the nutrition present in wild varieties. More recently we have sacrificed rich flavor for a long shelf life, perceived beauty and the ability to travel long distances without spoilage. Robinson goes on to describe the most nutritious varieties today and how to select, store and prepare them for optimal nutrition. 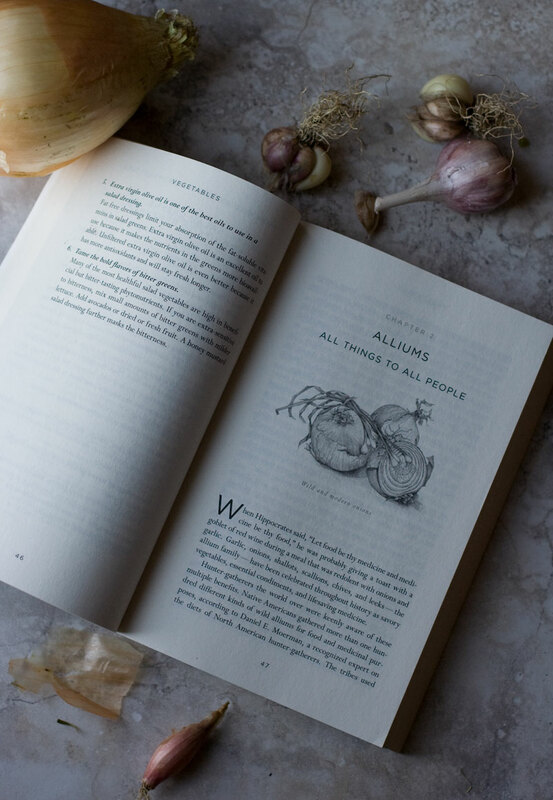 The book is divided into two sections: Fruits and Vegetables, with each chapter dedicated to a group of edibles. 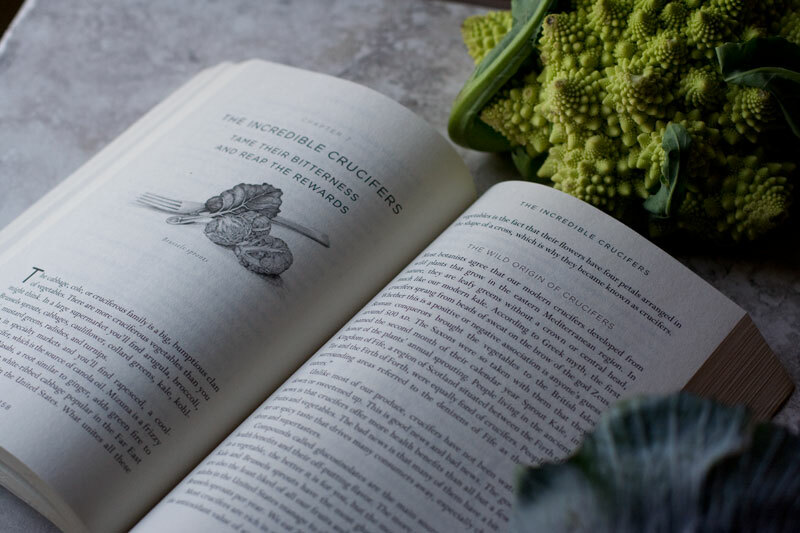 Included in each chapter are handy charts listing common nutritious grocery, farmers’ market and seed varieties, as well as a few delectable-looking recipes. I especially like the tips on preparing foods to maximize nutrition. In particular, cooking garlic greatly reduces allicin, the component responsible for its powerful anticancer properties. Allicin is not actually present in garlic, but is created when chopped, crushed or chewed. Alliin and a heat sensitive enzyme called alliinase are the isolated components in a raw clove of garlic that create allicin when combined, but it takes time for this reaction to occur. If garlic is cooked immediately after chopping or crushing, the alliinase is destroyed before the allicin can be created. 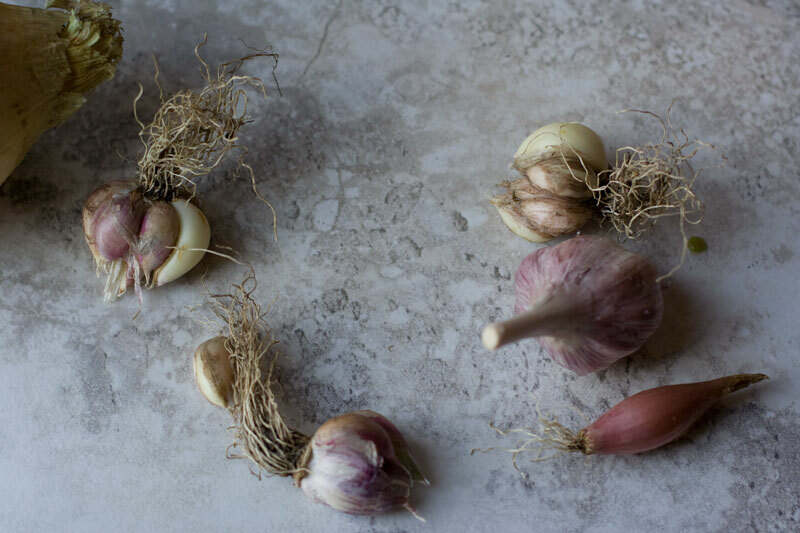 However, if you chop garlic and let it set for 10 minutes the reaction to create allicin has time to take place and is preserved in your cooked meal–who new right!? Broccoli, which I’ve always liked for its seemingly long shelf life, begins rapidly losing its cancer fighting qualities immediately after harvest. Within 10 days of ideal storage conditions, broccoli has lost 80 percent of its glucosinolates, 75 percent of its flavonoids and 50 percent of its vitamin C. It’s hard to tell how old the broccoli is at the supermarket or how its been stored, because it still looks great after 10 days. If you can, purchase your broccoli directly from a farmer or better yet – grow your own! What I’ve shared here is just a taste of what Eating on the Wild Side has to offer. Robinson has shared a wealth of knowledge that we should all take advantage of: whether you cook, garden or just enjoy eating good healthy food. This book will truly change the way you shop for, cook, grow and store your food. I’ve already started to put this knowledge into practice and I can’t wait to get my hands on some seeds of the recommended varieties for my garden next spring! What will you do to eat on the wild side? Please share in the comments below.